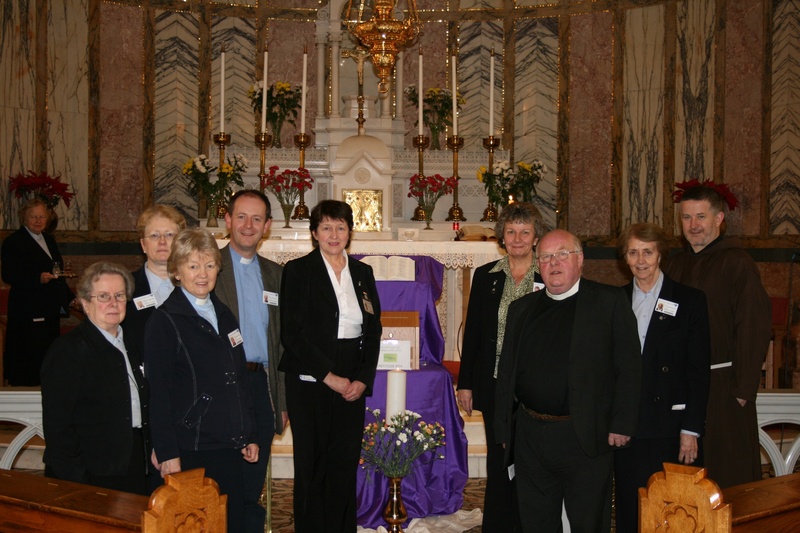 The Chaplaincy Team at the Bon Secours Hospital, Cork celebrated the Week of Prayer for Christian Unity with a Prayer Service recently in the Hospital Chapel. Among those present were (l-r): Sr Bernadette Eames, Sr Margaret O’Keeffe, the Rev. Geraldine Gracie, the Rev. Daniel Nuzum, Ms Anne Bermingham (Director of Pastoral Care), Ms Mary Egan, Archdeacon Robin Bantry White, Sr Claire O’Driscoll, and Fr Sean Donoghue. This entry was posted in Chaplaincies, Church in Society, Church Services, Diocese, Ecumenism. Bookmark the permalink.